Thousands of families across the United States look to adopt, and give a child a family. And because there are more families seeking adoption than there are babies in the United States, many times, the best option is to go overseas. One of those options has now been taken away from parents, however, as Russian president Vladimir Putin has signed into law a ban against adoption of Russian children by American families. A controversial law which bans adoption of Russian children by American families came into force in Russia on Tuesday. The adoption ban, signed by President Vladimir Putin on December 28, is part of Russia’s response to the US Magnitsky Act, signed into law by US President Barack Obama earlier in December. The Russian public has been largely supportive of the new law. Around 56% of respondents in an opinion poll conducted by the Public Opinion Foundation said they backed a ban on US nationals adopting Russian children. Critics of the adoption ban, however, said it would keep thousands of children, especially those with disabilities, in Russia’s orphanage system. What does this mean for Russian children and, in particular, Russian children with disabilities? According to Andrea Roberts, founder of Reece’s Rainbow, this is basically a death sentence for special-needs children. Reece’s Rainbow is a ministry which aims to rescue orphans with Down syndrome and other disabilities through adoption. They provide money, obtained from donations, for families seeking to adopt special-needs children, including international adoptions. Reece’s Rainbow has aided in the adoption of hundreds of Russian children. Why would this ban be a death sentence for children with disabilities? Many special-needs kids have health needs that should be (and often are) addressed within the first few years of life. 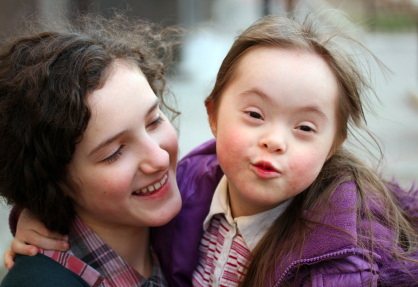 About half of all children with Down syndrome, for example, are born with heart defects. In the United States, the vast majority of these children require surgery, and have positive outcomes afterward. Many special-needs children have manageable health issues, but without medical attention, these relatively small things can, over the years, turn fatal. And unfortunately, Russian orphans with disabilities simply are not receiving the medical care that they need and deserve. Many of the Russian children now living in the U.S. and Canada thanks to Reece’s Rainbow were plucked from Dickensian orphanages where they suffered malnourishment and neglect. For such children, adoption offers possibly the only escape from a life that is nasty, brutish, and short. According to Roberts, Russian children with special needs who are lucky (or tough) enough to survive the horrors of the orphanage are sent at age four to an adult mental institution, where most will die before they turn ten. … All of this underscores Roberts’s wholly believable claim that the unamended Russian law is a death sentence for the one thousand kids with Down syndrome who Reece’s Rainbow estimates are currently languishing in Russian orphanages. This ban is an undoubtedly cruel one, depriving thousands of Russian children of a family and a home for what appears to be merely political reasons. But for Russian orphans with special needs, this ban is an issue of life and death. Fortunately, there is an amendment to allow for the adoptions of these special needs children, introduced by parliament member Robert Shlegel. But if the amendment is not voted through, then what will happen to these children who desperately need not only a family, but also medical attention? Vladimir Putin should encourage this amendment and ensure its passage. These children deserve not only a family, but also a chance merely to live. They don’t deserve a death sentence.